Do you find that you keep hitting a wall when working to manifest your desires? Would you like to learn how to uncover the limiting core beliefs that keep you stuck and unable to move forward living your desires? In this core beliefs busting webinar (above) Linda Armstrong, Transformation Coach & Energy Healer, Expert The Mind Body Spirit Network Member delivers an uplifting and informative presentation where you will learn how to uncover limiting core beliefs that keep you from manifesting your dreams and loving your life. During this presentation Linda will teach you how to muscle test for underlying and limiting core beliefs. You will test some beliefs for yourself and Linda will then clear those beliefs and give you energetic downloads that will support you in manifesting what you want in life. You will be blown away as you retest the same beliefs and see that they have cleared, setting you up for success in manifesting. It will be a fun mini adventure into the world of clearing out the old unsupportive energy while making way for new pure love energy and personal power to come in. Be sure to have a pen and paper handy to record for yourself which beliefs you need clearing. Learn how to muscle test yourself for core beliefs that are blocking you. You can use this technique at anytime to connect to your Higher Self and receive insight. Be guided to test a list of beliefs to see if you hold any of the beliefs we will be working with in this presentation. Experience some clearings for you to release the beliefs. This will include downloads of feelings and programs that you are missing. So before we begin, Linda has identified some common limiting core beliefs that she works with in her everyday practice with her one-on-one clients. We’d love to here in the comments below what your experience with this has been. Were you able to find a testing method that worked best for you? If so, please share! A mini, one time only introductory energy medicine session. Find out for yourself how energy healing will propel you to manifesting your desired life. Schedule Mini Belief Buster Session Here. 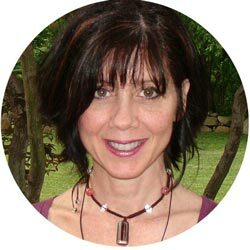 Linda Armstrong is a Transformation Life Coach and Energy Healer. She works with The GATE Healing Method and ThetaHealing® Technique. She is a Master Certified Law of Attraction Energy Coach, Reiki Master Teacher, and Light Body Meditation Practitioner. Linda purpose is to assist people in Awakening to their Power to Heal their Life and Live from Love! For Linda this journey started with a tear in her rotator cuff, which she healed for herself. And as a Karate Instructor this wasn’t a good thing, but as it turns out, it was absolutely the best thing ever as it awakened the healer that she is today. Visit Linda’s Membership Listing Page Here.